Robin Church was born and raised in Union County. She attended grade schools in Union and Elgin, graduating from Elgin High School. After High School, Robin attended Link’s School of Business in Boise Idaho. After graduating from Link’s, Robin returned to Union County where she worked for Farmore Pump and Irrigation, Dr. Shiroma and GTE. At GTE, Robin started as an Operator, working her way up to Division Secretary and finishing as Operator Services Supervisor. When GTE transferred Operator Services out of La Grande, Robin decided to stay in Union County. In 1988 she went to work in the Sheriff’s Office transferring to the County Clerk’s Office in 1991. 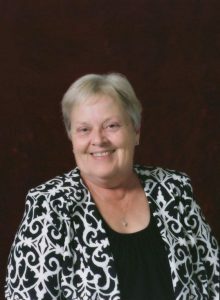 Robin is dedicated to carrying out her duties as Union County Clerk with strict adherence to the Oregon Revised Statutes that govern the County Clerk’s Office. Robin’s personal goal is “to provide fair, courteous service to all citizens of Union County”.